I have tried reinstalling the hub and whatsapp,still no joy. 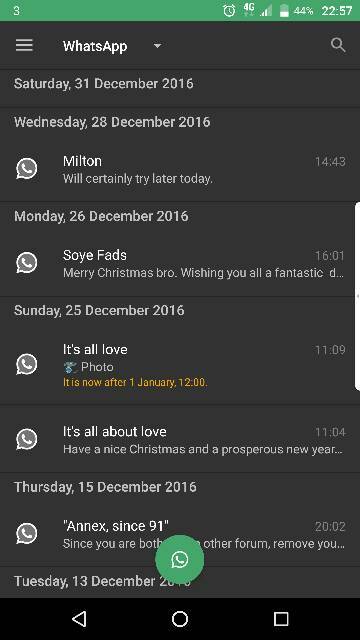 Are the WhatsApp messages supposed to appear in the hub? WhatsApp messages are not SMS messages. They do.. see my screenshot below. Not sure why u guys have problems. It's always worked. It's only sent messages that don't appear. Supposedly it's a WhatsApp issue that BlackBerry have no control over. Why did my phone battery jump from 19% to 46% in a matter of seconds?